First, the bad news: Next month, Netflix prices will start going up for some customers. Now the good news: The longer you have been a Netflix subscriber, the longer you have until your price increases. Netflix announced in October that it would raise the price of its standard HD plan to $10 per month, up from $9 per month for recent customers and $8 a month for longer-term customers who had been grandfathered in. The new $10 rate was expected to take effect in May. But Netflix announced Monday that it will roll out the price hike gradually over the course of 2016, a strategy it calls "un-grandfathering." More than half of Netflix's subscribers have been grandfathered into the lower prices, the company said. Netflix also said customers should receive an email notification explaining the company's new new plans and options before their price increases. In addition to the $10 plan, Netflix (NFLX) will offer a lower-priced $8-per-month option, which presents videos in standard definition and only allows one person to use the account at a time. 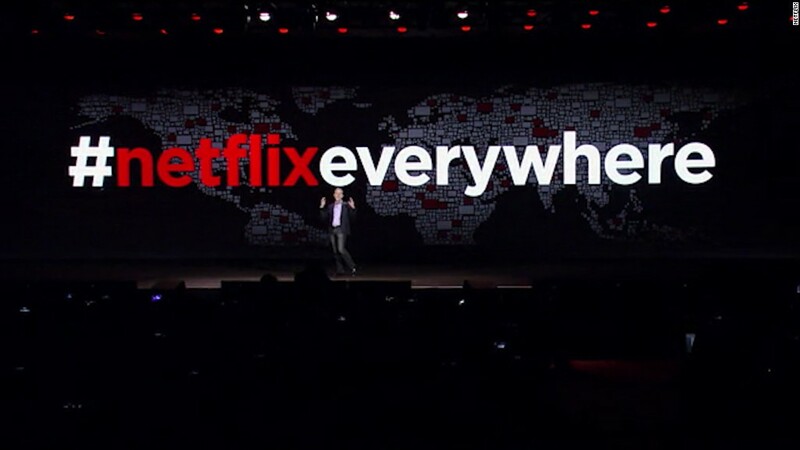 Netflix also has a higher-priced $12-a-month plan, which broadcasts in ultra-high-definition and lets customers play videos on four screens simultaneously. Customers will have to choose one of the options -- or they will be able to drop their subscription. Phasing out its grandfathered plans this way is an impressive show of customer loyalty. Netflix said it was doing it "to reinforce brand trust" and to "learn as we go." But on a conference call with investors, CEO Reed Hastings also admitted that the company doesn't "particularly need the revenue in the short term, so it's fine to just spread it out." Netflix has said that the extra revenue it hopes to gain from increasing prices will go towards licensing and creating better content for 2017. Netflix is treading lightly for a good reason. It doesn't want a repeat of its 2011 Quikster debacle, in which the company suddenly hiked prices 60% for people who were both streaming and DVD-by-mail subscribers. The company initially spun off the DVD-by-mail business into a separate company called "Quikster," saying customers could no longer buy DVD and streaming service from Netflix. It reversed that decision -- but not the price hike -- and Netflix lost nearly 1 million customers. This time around, Netflix says it anticipates some "modest" customer losses, but expects the vast majority to stay, "partially because these members have been with us for a reasonable period already, and because our content continues to improve."